To engage the wider American public landscape, ISPU seeks areas for collaboration by conducting research on American Pluralism and amplifying the voices and contributions of American Muslims within media or policy circles. Half of Americans do not know a Muslim personally. So, much of what they know comes from media, where 80% of media coverage about Muslims and Islam is negative. By late 2015, roughly 1 out of 5 American Muslims said they experienced regular religious discrimination. ISPU’s public policy research examines the structural barriers that hinder the American Muslim community from full inclusion and participation. The findings provide policy makers, the media, nonprofit leaders, and the general public with an accurate and more nuanced understanding of the American Muslim community, while building allies and identifying common challenges and solutions. By championing American pluralism and amplifying the voices and contributions of American Muslims, ISPU research expands the policy debate with evidence and expert analysis, creating a conversation based in fact, not fear. Equal Treatment? : Measuring the Legal and Media Responses to Ideologically Motivated Violence in the United States compares media coverage, law enforcement tactics, charges, and eventual sentencing when the perpetrator of an act of ideologically motivated violence is perceived to be Muslim vs. not perceived to be Muslim. Quantifying the contributions of American Muslims living in the state of Michigan, ISPU will pair statistical facts with the human faces of the many Muslims who positively contribute to the wellbeing of all Americans. ISPU’s annual American Muslim Poll captures the attitudes and opinions of individuals from a variety of religious groups on topics such as religion, politics, civic engagement, and more. This data-driven analysis provides a multi-dimensional understanding of the American Muslim community. ISPU examines the impact of Islamophobia on the wider public and offers historical context as well as modern-day best practices to meet this challenge. 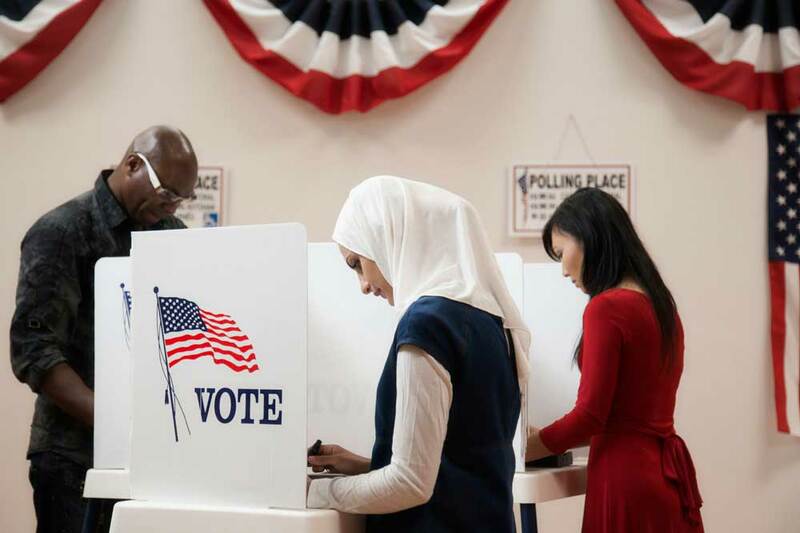 In the midst of a polarized and heated 2016 election season in which Muslims are frequent subjects of national debate, ISPU set out to discover what American Muslims wanted for themselves and recommended pathways for greater civic engagement. This benchmark study, the first of its kind on the Bay Area’s Muslim community, serves many purposes including providing groundbreaking data on its demographics, sense of identity, economic well being, political and civic engagement, and the challenges that it faces.